Offering pawsome pet products to the fido and feline lovers in America, Sassy Dog Fashions is well-known for its originality as well as intricacy all across the country. Take a walk on the streets downtown. You’ll see sassy pets and their pet parents flaunting that exquisite pet accessory they’ve bought from this best pet shop in the USA. Designing products that keep your pet safe and warm is something any pet shop can achieve. Sassy Dog Fashions, on the other hand, factors in another aspect when designing clothes and accessories for your furry friend – FASHION! Furhtermore, the Pennsylvania based pet store loves to inspire creativity and has an undying passion of keeping the little pooches fashion forward. Achieving the pinnacle of success was no less than a roller coaster ride for Sassy Dog Fashions. Just like any other business, the store has faced its fair share of breakthroughs and setbacks. 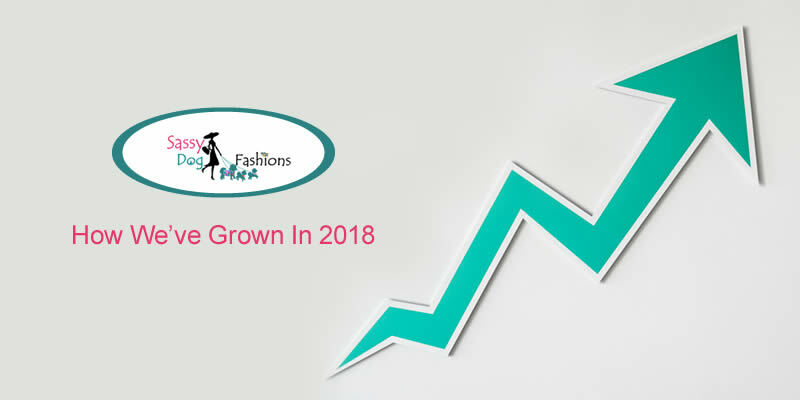 Marking a turning point in the brand building journey of Sassy Dog Fashions, the online store took the world by storm in a jiff as soon as it dropped its best seller product in the market – Dog Walker Bag! The much-loved accessory is cherished by the dog moms of Pennsylvania, and why not! Keeping up with the little superman wandering on the streets while carrying all the essentials has become so much easier with it! Amidst the growing popularity of this grab-and-go bag, soon another product hit the mark and contributed to the already increased sales of the online business – Pet Collar. Soon Sassy Dog Fashions picked up the right pace, and nothing was going to stop it from conquering the online pet market. To strengthen the brand identity further, the online pet store has recently expanded its target reach with the aid of two eCommerce giants – Etsy and Amazon. The ROI and sales increased twofold as it ventured into these third-party eCommerce stores. While the Etsy store offers a magnanimous opportunity to promote art and creativity, the Amazon store provides a wider niche market to feast upon. 2018 has been a fortunate year for Sassy Dog Fashions and there’s no looking back! Every brand has a face. 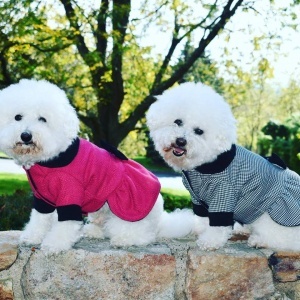 The ingenious person who laid the foundation of Sassy Dog Fashions – Maria Leindecker – has worked relentlessly to occupy the leading position in the pet industry of America. Today, she is living as well as breathing her dream! Maria has been working with dogs for nearly 20 years. 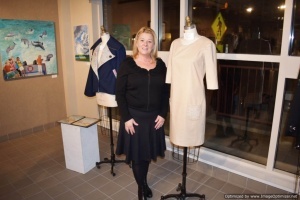 She has attended the Fashion Design School at the Baum School of Art in Allentown, PA and that’s where she began her career as a professional seamstress for dogs and dog lovers. 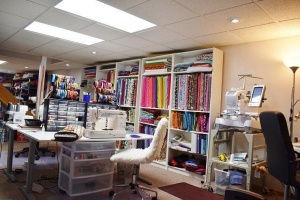 Before stepping foot in pet fashion, she has previously worked in the field of Business Management in Finance which taught her how to manage small factory operations. Indeed that’s where she learned the principles of handling business operations. 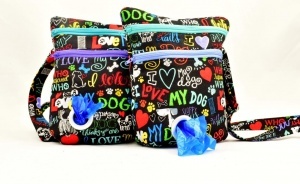 Besides that, each product designed at SassyDogFashions portrays an exemplary work of art. The online venture has observed a steep growth in recent years and continuously strives to offer an amazing experience to its customers. Have you shopped at this amazing pet store yet? Share your experience in the comments section below! One of the busiest shopping holidays of the year is back in the line-up this November. The citizens of America are all geared up to “shop local” and celebrate Small Business Saturday to encourage and support local businesses across the entire country. All the small business owners out there, buck up for the peak sales period of your business! An initiative by Small Business Administration (SBA), Small Business Saturday highlights the success of local brick as well as mortar businesses. Counterpart to Black Friday, there is an entore day to encourage shoppers to patronize small businesses and help communities flourish and stay vibrant. Back in 2010, American Express launched the first SBS campaign on the first Saturday after Thanksgiving. Soon the initiative thrived on success and became a social phenomenon within its second year. Today, Small Business Saturday forms the best pre-Christmas shopping season for the local communities of America. Christmas is around the corner and what better way to celebrate it with your little pooch than gifting him the best pet accessory! Here are some of the irresistible pet products by SassyDogFashions that pet lovers would drool over. Your beloved friend will undoubtedly look classy wearing any of these distinguished Dog Collars. The stunning designs look beautiful year round, particularly during special occasions like Christmas. All the collars at Sassy Dog Fashions are one-of-a-kind and hand-crafted using the best quality material. 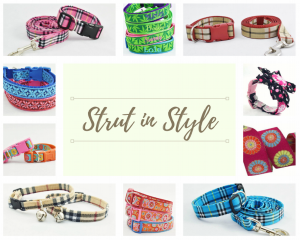 Your buddy can strut in style wearing any of these ultra-lightweight and comfy collars. The designs are exclusively made in America for sassy dogs who want to be spoiled and well presented. They depict a perfect mix of color, vibrancy, and happiness. Your pet will look unique, no matter what his personality is! 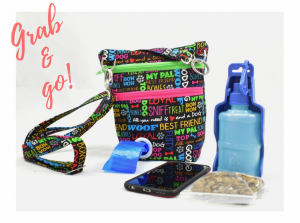 A fabulous gift for pet parents – The Dog Walker Bag is stylish and great for the dog park, dog obedience training, dog walking, or anywhere you need to be mindful about responsible doodoo cleanup. This grab-and-go bag is designed to carry your everyday essentials like the dog’s water, your water, cellphone, doodoo bags, and more for dog walking. You can conveniently clean up after your little bud by simply pulling a doodoo bag from the dispenser in the front pocket. Just load the free roll of doodoo bags into the pocket and then feed the end through the hole and you’re ready to go. However, keep your hands free all the time! They’re so chic! Keep your furry friend stylishly warm this Christmas with these gorgeous coats and fleeces by Sassy Dog Fashions. The more we adorn our dogs in luxury, the happier they are! Furthermore, these coats protect your canine companion from rain, wind, and snow. Made from ultra-soft premium quality material, these stylish clothes are designed for sassy pets who want to be seen. Let’s celebrate together the small businesses that make our communities unique! So, what are your plans for this shopping holiday? Do let us know in the comments section right below!